According to a report in Seeker, a new genetic study indicates that most of today’s Europeans still carry hunter-gatherer DNA. 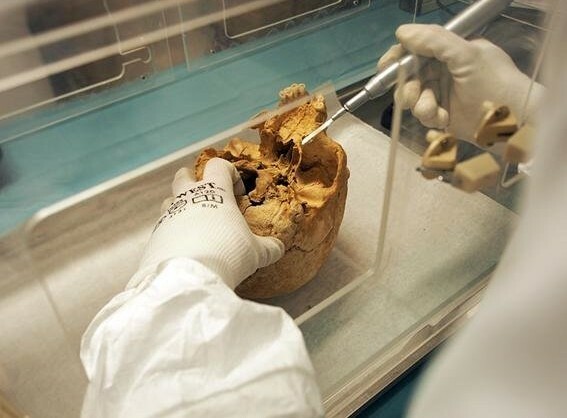 Mark Lipson and David Reich of Harvard Medical School and their team of international colleagues analyzed samples taken from the remains of 180 people who lived in what are now Hungary, Germany, and Spain between 8,000 and 4,000 years ago. The farmers, who migrated into Europe from the Near East, could be differentiated from the hunter-gatherers based on the different isotope ratios in their bones and teeth, due to the differences in their diets. The researchers then constructed mathematical models to describe how farmer and hunter-gatherer populations might have interacted with each other. The data suggests that after an initial exchange, the two groups continued their contact over a long period of time. And, the farmers moved around a lot, perhaps searching for arable land as their populations grew. “During this period, it seems likely that hunter-gatherers were not migrating such long distances, but our knowledge is not complete,” Lipson said. Overall, the scientists think farmers and hunter-gatherers coexisted for some time before hunter-gatherers were completely integrated into farming populations.